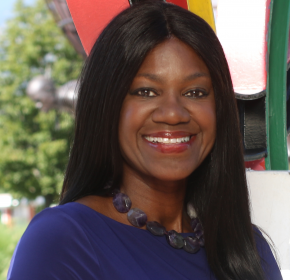 Benita Fitzgerald Mosley joined Laureus USA as CEO following her senior executive role with the United States Olympic Committee as Chief of Organizational Excellence. Named a Game Changer by the Sports Business Journal in 2015, she led USA Track & Field’s 2012 Olympic team to win 29 medals in London, its best performance in 20 years, when she served as Chief of Sport Performance. Honored as Cable TV Executive of the Year by Television Week magazine, she was Women in Cable Telecommunication’s President and CEO for eight years. Her passion and appreciation for the values of sports participation includes her stellar performances on the 1980 and 1984 Olympic teams where she won a gold medal in the 100-meter hurdles at the 1984 Los Angeles Olympic Games. Benita and her husband Ron are parents to two children who are active in sports. Benita is a graduate of the University of Tennessee with a BS in industrial engineering. James Kallusky has dedicated his career to supporting underserved populations by creating joint ventures and overseeing partnerships with stakeholders from private industry, the public sector, and the philanthropic community. His entrepreneurial spirit and hunger to drive impact have led him to develop numerous national and community-based programs throughout the United States in the areas of health, education, and juvenile justice. Prior to joining Laureus USA, James was Deputy Director at the Clinton Foundation where he served on the senior leadership team for domestic health. 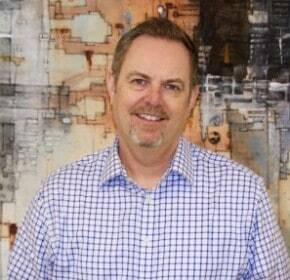 Throughout his career, James has been a tenured professor, a nonprofit executive, and an organizational consultant. His co-authored book, Youth Development and Physical Activity, is widely used in sport for development degree programs in colleges and universities, both nationally and internationally. James holds a Doctor of Education with an emphasis in sport pedagogy from the University of Northern Colorado. Fatima Alabdullah has five years of experience in supporting underserved populations through accounting and financial management. Most recently, Fatima was dedicated to serving NYC families that are living on the economic fringe through her management of multiple budgets at the Educational Alliance. 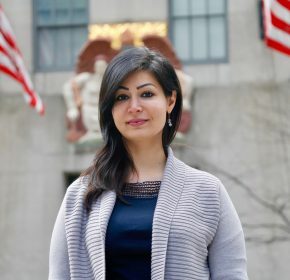 Originally from Syria, Fatima began her professional career in the United States by assisting the Jan Peek House, a shelter for homeless adults, in their finance department. She went onto support five different organizations in their financial management through her work with Robert Half Finance and Accounting, where she developed a special passion for nonprofit work. Fatima has also worked as a junior financial analyst for the Stephen Gaynor School, catering to bright children with learning differences. Stewart Young has built and managed youth development programs for the last 25 years across the globe. Through working for a detached youthwork program in Belfast, a group home in South Africa, and a surfing and mentoring program in South Central Los Angeles, Stewart understands what it takes to deliver high-quality programs in a variety of community settings. After coaching his own son’s initial soccer journey and helping to found Louisiana Rugby, Stewart is excited to be able to support the long-term growth of Sport for Good programs in his hometown of New Orleans and across the Laureus network. Jamie Schmill has a decade of experience in higher education and nonprofit management and is a passionate advocate for the transformative power of sport and movement. Jamie brings extensive knowledge of partnership development, grants management, training/capacity building, and group facilitation to her role. She holds bachelor’s degrees in dance and gender studies from Newcomb College of Tulane University and is completing a master’s degree in philosophy at Tulane. 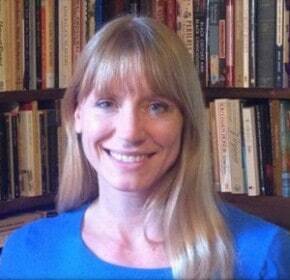 She has completed nonprofit leadership coursework at Harvard’s Kennedy School of Government. Jamie enjoys playing roller derby, lifting kettlebells, training clients at Cypress Fitness, studying Shaolin-Do Kung Fu, and celebrating the rich and diverse history and culture of New Orleans. 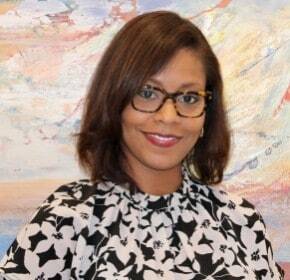 Julia M Lankford has over 14 years of nonprofit management experience. For Families First, she provided direct services in impoverished areas by determining local needs and designing economic opportunities to empower individuals to improve their own lives. Due to her keen insight and strong leadership, more than 1,200 Georgia residents gained economic security. Julia has also worked as the Neighborhood Revitalization Manager and Grants Manager for the East Athens Development Corporation, where she cultivated and stewarded relationships as part of a grant pipeline process. She has been the recipient of numerous community service awards, including the Young Professional on the Rise, and Forty under Forty Professionals in Northeast Georgia, and ESSENCE Woman of the Year. She received her BS in political science and Masters of Public Administration from Georgia Southern University, as well as her accounting certification from Athens Technical College. When Julia is not working, she enjoys spending time with her husband, Toryn, and her daughter, Teghan. Rachelle Boyer has built partnerships between corporates, government organizations, and community organizations, such as the British Council, Premier League, MLS, and New York Public Library at both a national and international level. Rachelle has been successful in raising money and building awareness for various organizations by producing quality events for audiences ranging from VIPs and high-net-worth individuals to young people, and by securing funds from grants and individuals. Originally from South Carolina and with Haitian roots, Rachelle has a passion for helping others and for sport that provides a strong foundation for the work she does at Laureus USA. Rachelle graduated from Furman University with a BA in communications and a BA in political science. 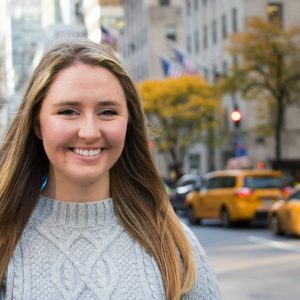 Mariah Welch is a multimedia specialist, aspiring to help solve the world’s greatest challenges through design that inspires collective action. 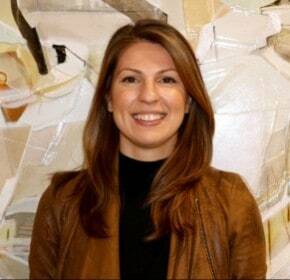 At Laureus USA, she oversees all communications from strategy to content creation. She is constantly seeking new ways to visually share our impact and meaningfully engage people in our mission. Mariah has observed the profound impact of sport and its underutilized potential to drive social change through her previous work in broadcasting for Major League Soccer, PR for the Brooklyn Nets and Barclays Center, and TV production for Big Ten Network. She graduated from the University of Michigan with a bachelor’s degree in sport management. 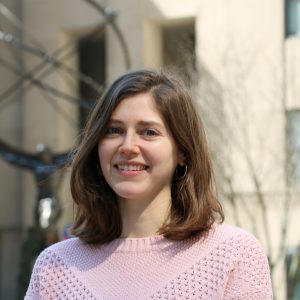 Mariah relies on data and research to inform everything that she does, having began her career in medical research at the National Institute of Health. Amra Pucarevic has more than five years of experience in event planning and operations management. She most recently worked as a brand support assistant manager for Richemont North America, where she provided logistics support for more than 15 different luxury brands. As a former Bosnian refugee, Amra has always recognized the importance of nonprofit organizations and their impact on communities and people in need. As such, she volunteers her free time to various organizations that benefit children and refugees. Amra holds a BA in studio art and theatre from the State University of New York College at Oneonta. Pharlone Toussaint has a decade of experience as an advocate for using sports as a catalyst for social change. Her passion blossomed in 2007 alongside the Honorable Archbishop Desmond Tutu during a youth symposium hosted by Wheelock College targeting Boston Public school student leaders. Her experience working on both the college and professional level has allowed her to gain a greater insight into sport for development programming growth strategy and implementation. She has supported community relations and corporate social responsibility efforts for several professional sports teams, including the Los Angeles Kings and the Boston Celtics. She has also worked with professional athletes, both active and retired, on various social entrepreneurial initiatives. 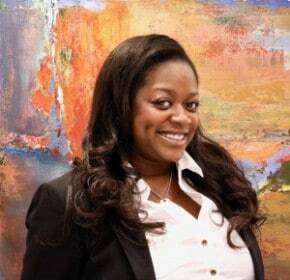 Pharlone is an Atlanta native where she is also a consultant in the creative-cause marketing arena and holds a BS in management with a concentration in marketing from Boston College Carroll School of Management. 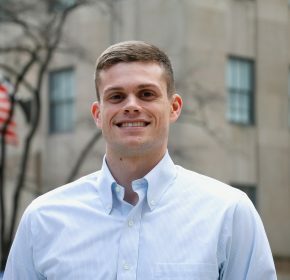 Ben Schornack is an experienced coalition-builder, fundraiser, and facilitator in the field of sports-based youth development. He previously worked as the NYC Director for Up2Us Sports, where he managed local fundraising, programming, and coach development. Prior to Up2Us, Ben has worked as a program manager and basketball coach, and he is a proud alumni of AmeriCorps VISTA. He has also been a guest-lecturer for the St. John’s University sports management program and the Adelphi University sports-based youth development program. Ben believes that well-designed sports programs can provide youth with a caring coach-mentor, an opportunity to build transferrable skills, and a safe space that allows healing from traumatic or stressful life circumstances. 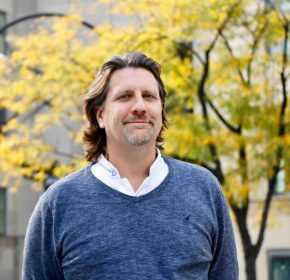 Throughout his career, he has worked with community organizations and stakeholders to merge assets and build capacity in order to achieve these high-impact outcomes. Ben lives in Brooklyn with his wife, Jenna. He graduated from Central College in Iowa with a BA in psychology. 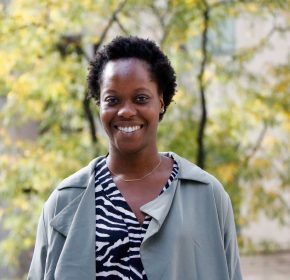 Tiffany Aidoo has a lifetime of experience as a high-level performing athlete and nearly a decade in advocating that sport is a catalyst for social change. 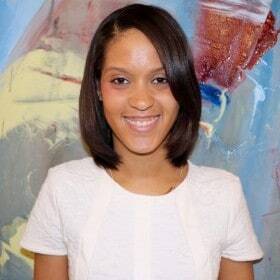 Prior to joining Laureus, she worked in Mayor Mitch Landrieu’s office with the NOLA FOR LIFE program, which was Landrieu’s comprehensive murder reduction strategy. She successfully led the Midnight Basketball and Mentoring programs. In addition, she also has experience working within collegiate athletics, nonprofits, and various types of local and national stakeholders. Her passion for sports as a tool for social change transpired through her journey as a student-athlete and professional experience. Tiffany has a MA and BA in communication from Tulane University, where she also received a full athletic and graduate assistant scholarship. She is also a certified National Academy of Sport Medicine (NASM) personal trainer and teaches TRX suspension training classes. Sara McLaughlin has experience in the non-profit sector having worked with organizations focused on youth development, including Girls Inc. and Right to Play USA. She has also spent time in the classroom environment, volunteering as a mentor to aid high school students through the college application process. As a lifelong sports fan and soccer player, she recognizes the unique power and ability that sports have, to educate young people and impact communities. Sara graduated from Fordham University in the Bronx, NY with a BS in Psychology, a concentration in International Humanitarian Studies, and a co-ed intramural basketball championship. Although originally from New Jersey, she considers herself a true New Yorker and currently lives on the Upper East Side. 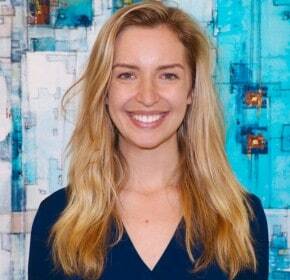 Holly Longworth is dedicated to expanding community development throughout New York City. Before joining Laureus, she worked for more than three years in events for nonprofit and corporate clients and facilitated sports opportunities for a range of youth programs at a New York City public park. Her volunteer experience includes hands-on work at urban green spaces throughout New York and she has acted as a juror for the youth Scholastic Arts & Writing Awards program for multiple years. She holds a BA in Liberal Arts from SUNY Purchase.